Having had a crazy week, with a weekend away on a school trip thrown into the mix, it was good to get back to the painting table. The elves are progressing. 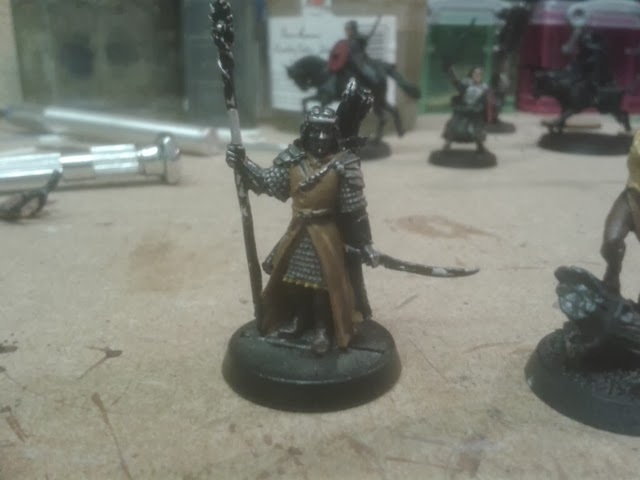 I did a test on the armour, using ochre washed with Army Painter Strong tone. This can then be highlighted up a bit. 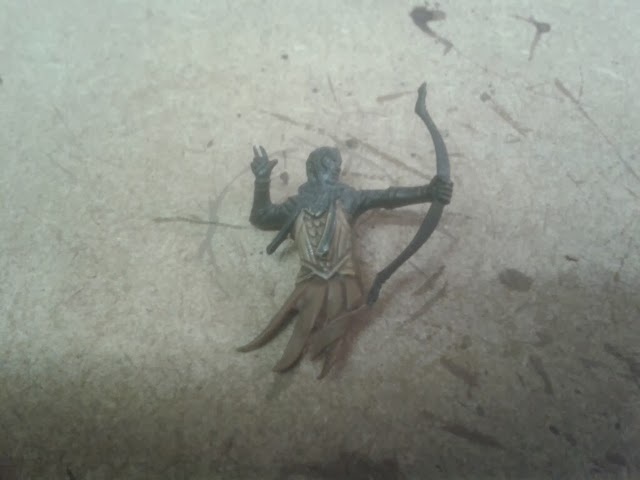 I've been doing Thranduil alongside these models, since he's been sitting around for a while on my shelf. I know he's not a popular sculpt, but I think it's great. 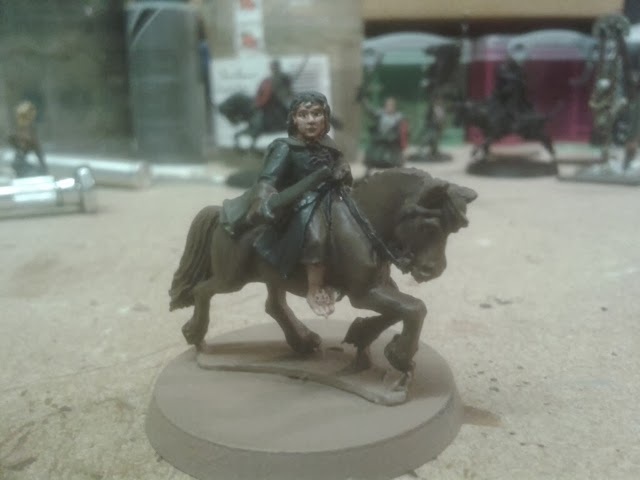 I've also been working on a mounted Pippin. This weekend I'm planning to go to Vapnartak in York. I'll try and take some pictures and show my purchases.